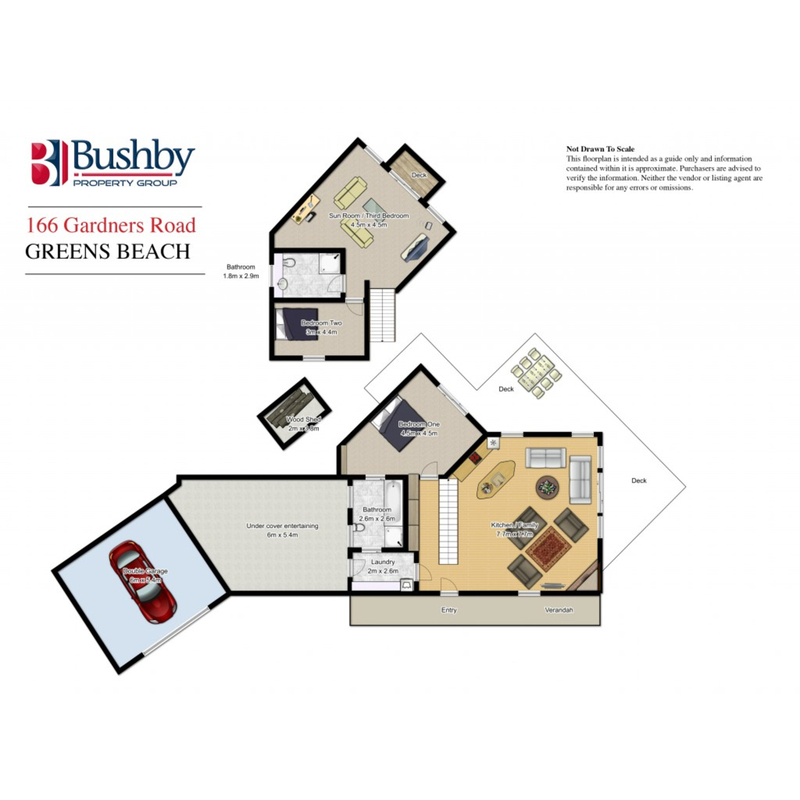 This architecturally designed home offers the perfect package. 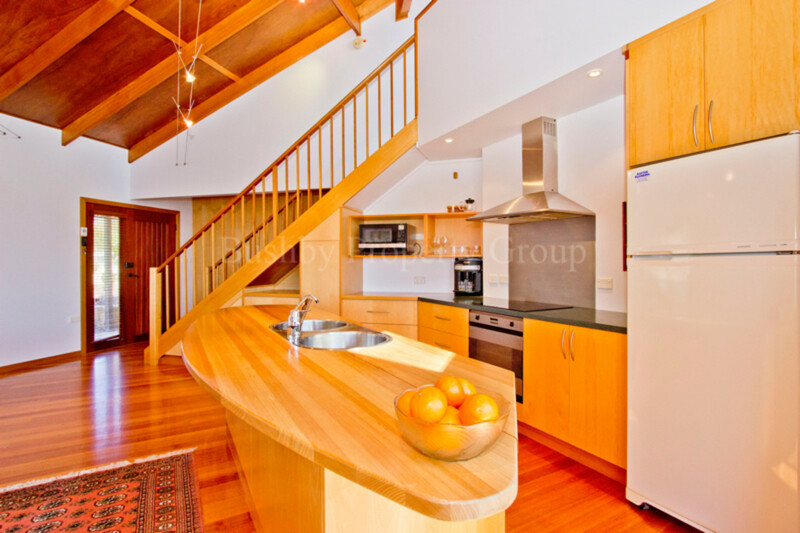 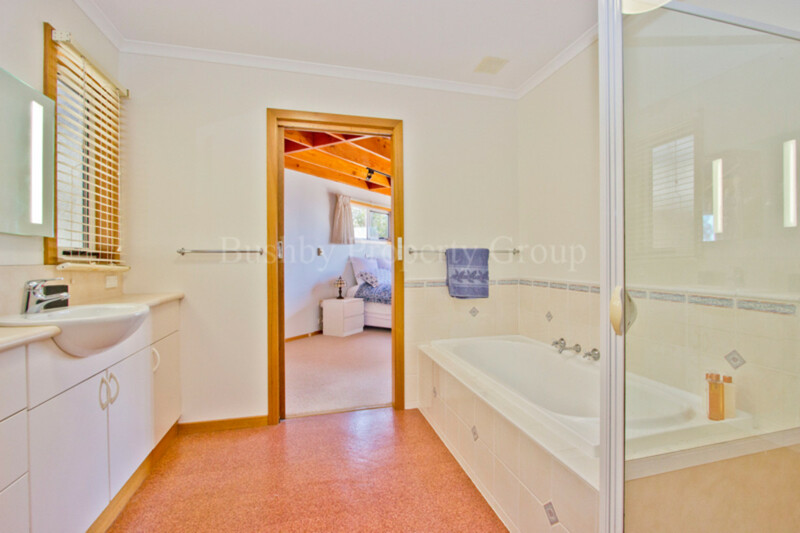 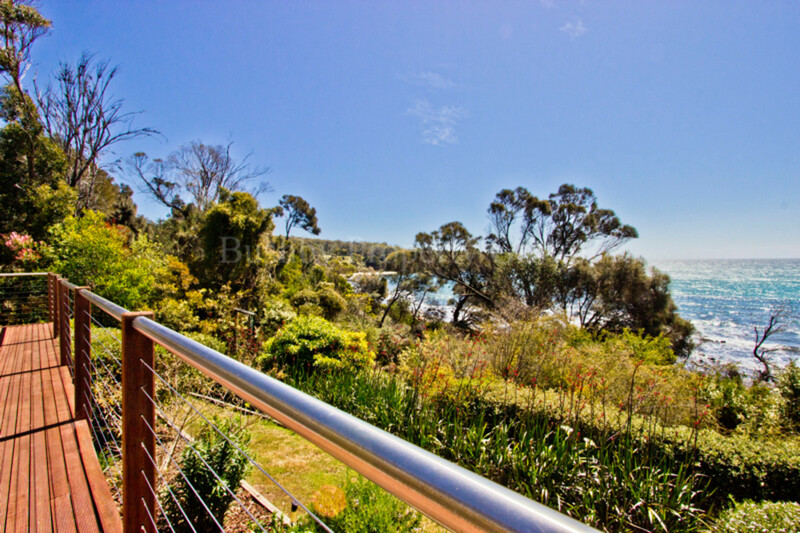 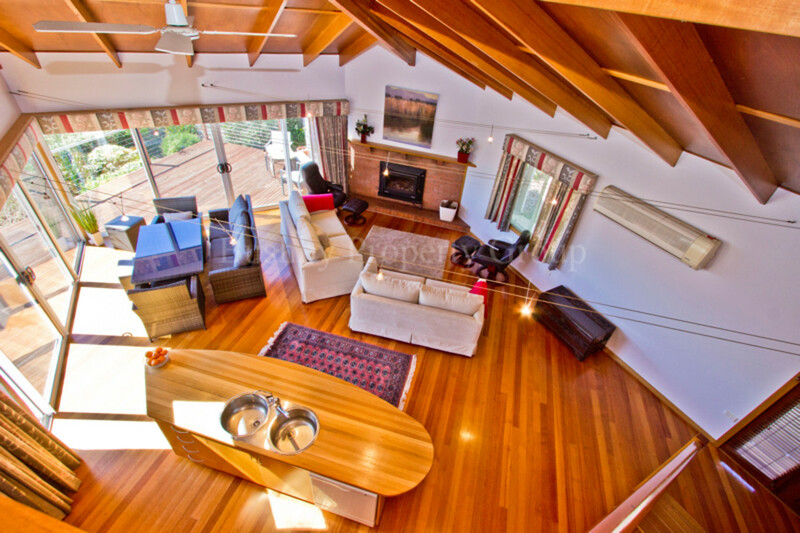 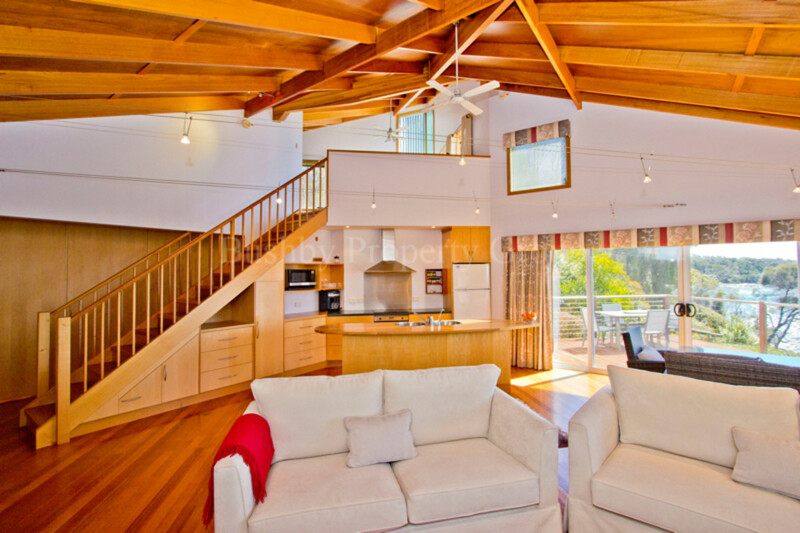 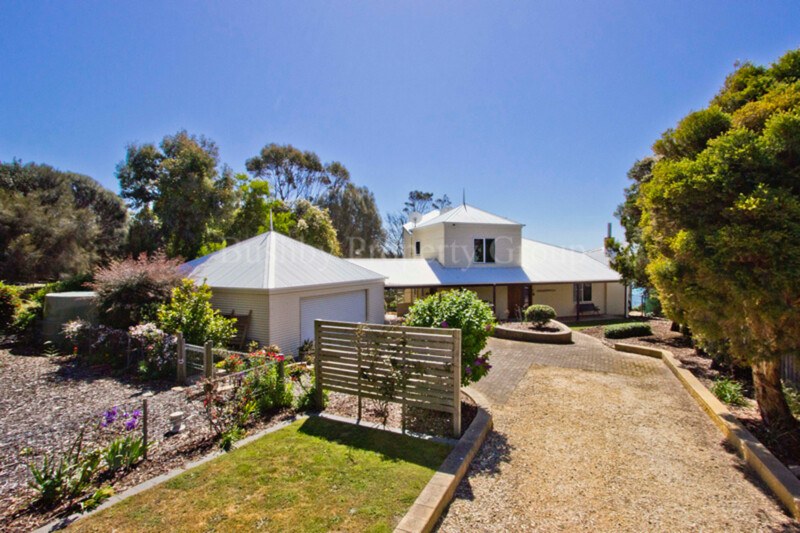 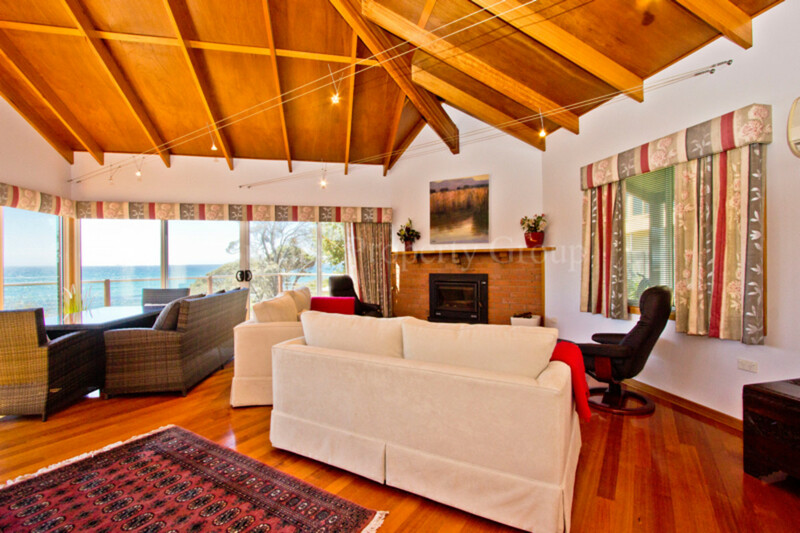 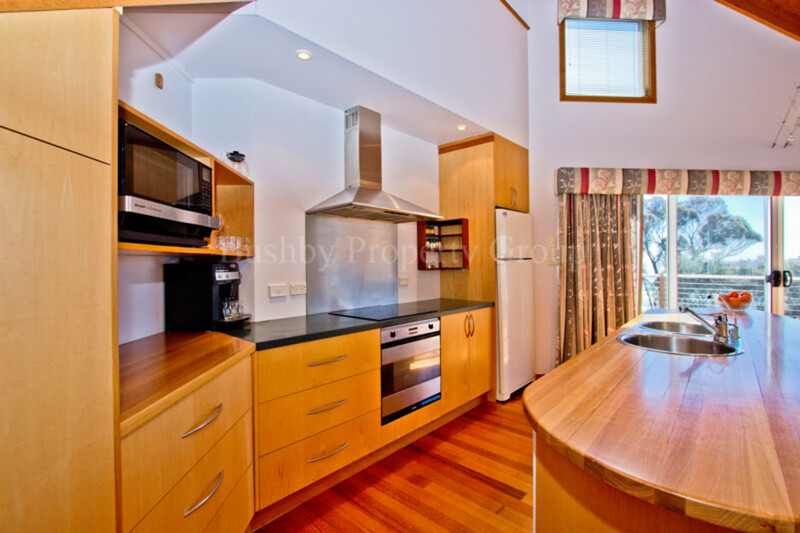 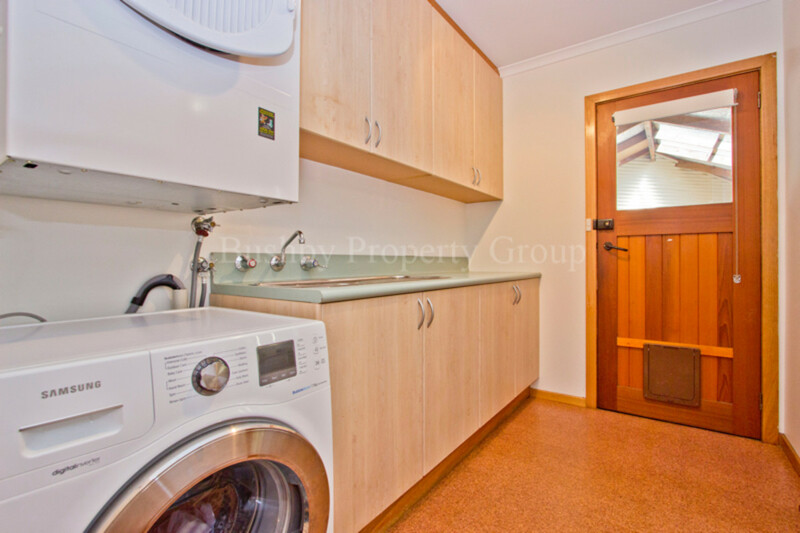 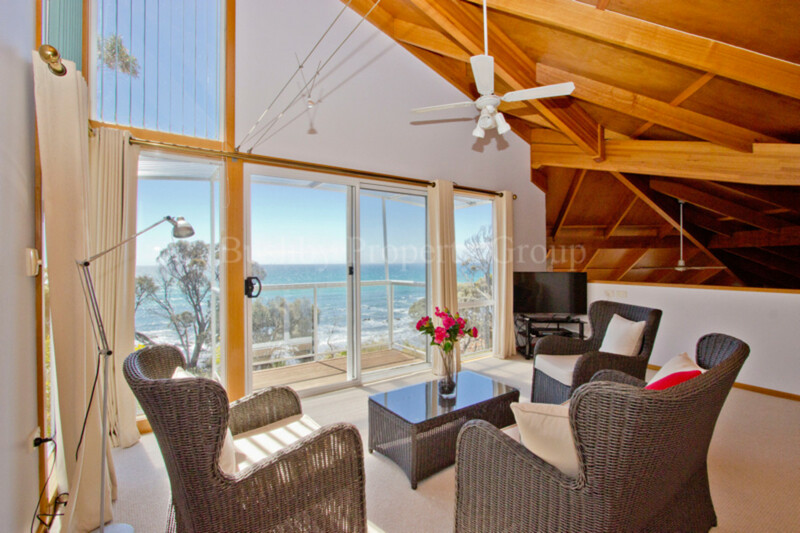 Front row seats looking out over Bass Strait, sun filled open plan living with cathedral ceilings and glass sliders to enjoy the view, European appliances in the kitchen, cosy wood heater plus a heat pump and 2 bathrooms, the main with floor heating. 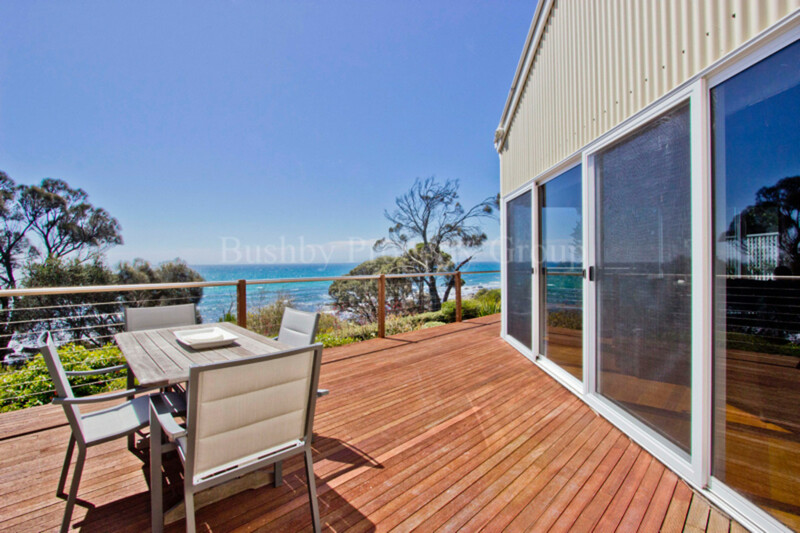 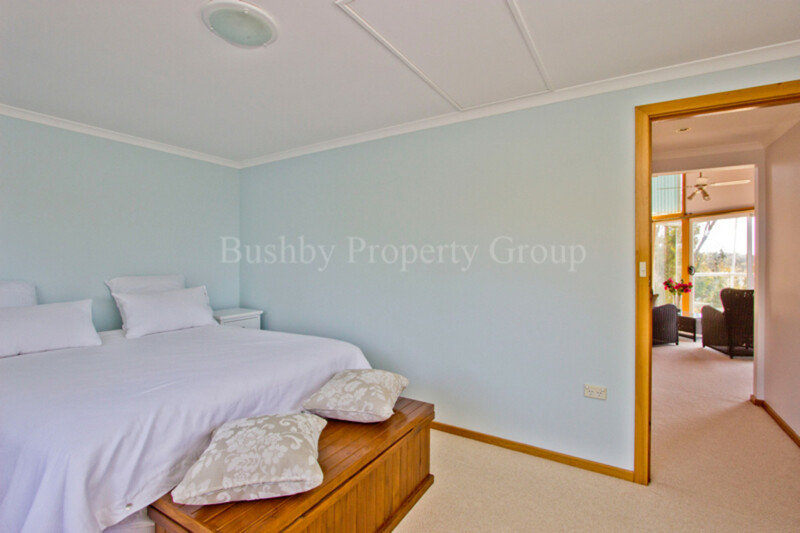 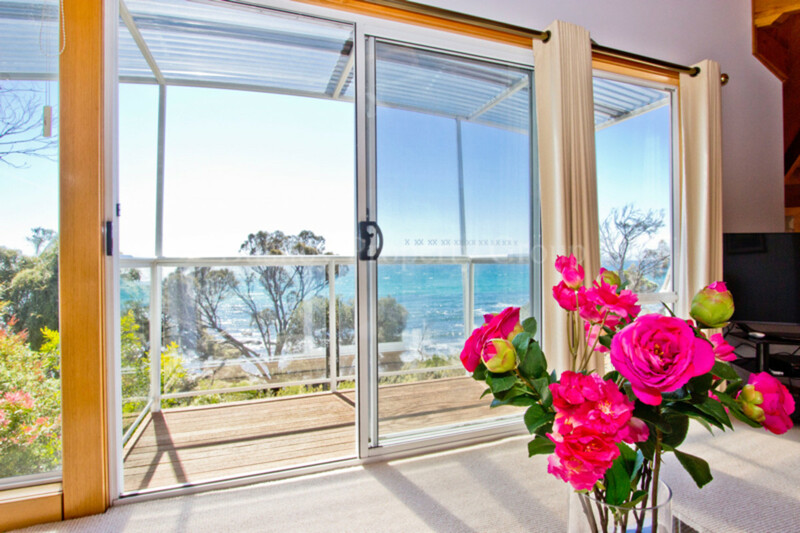 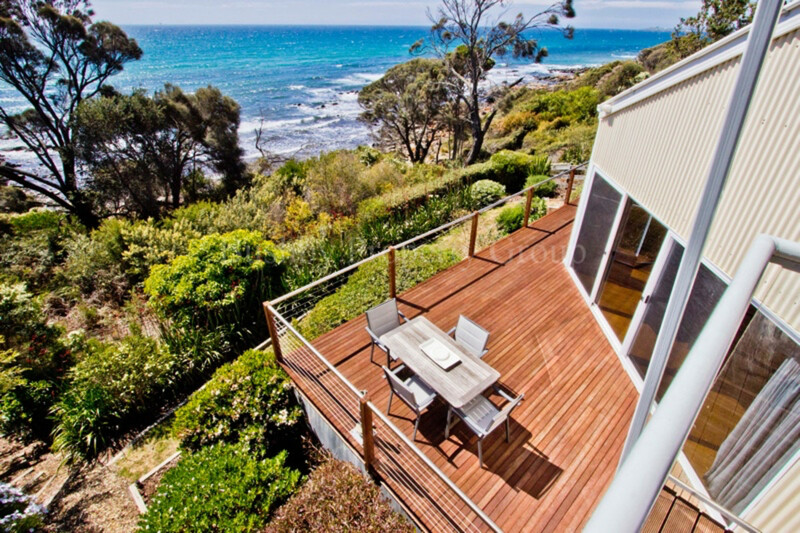 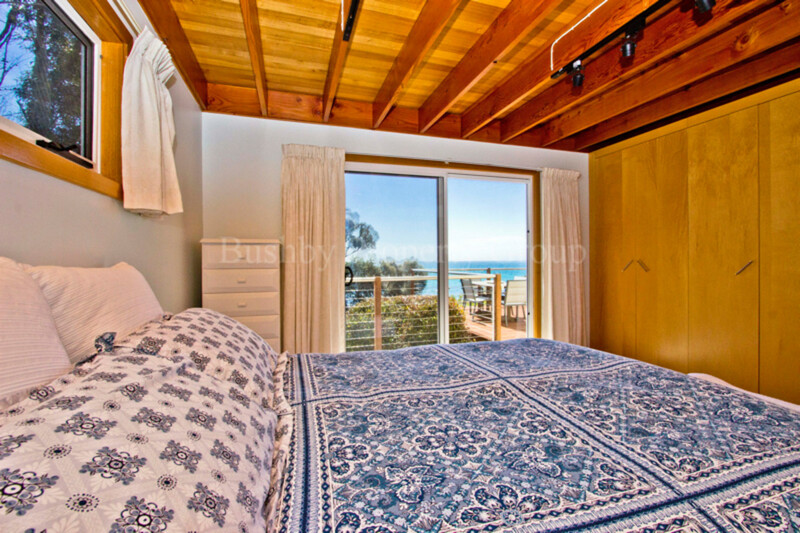 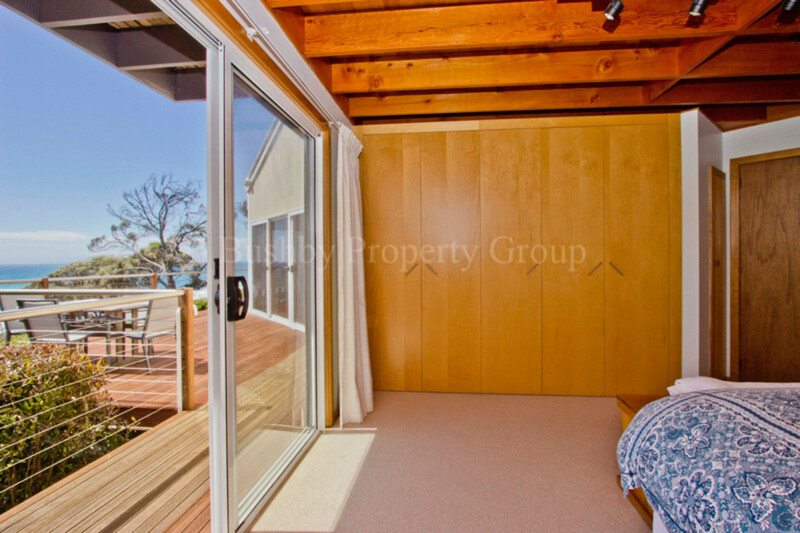 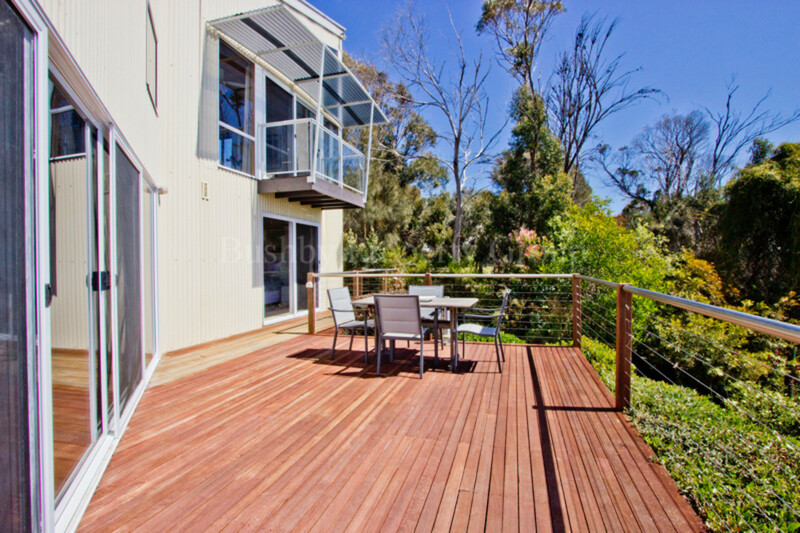 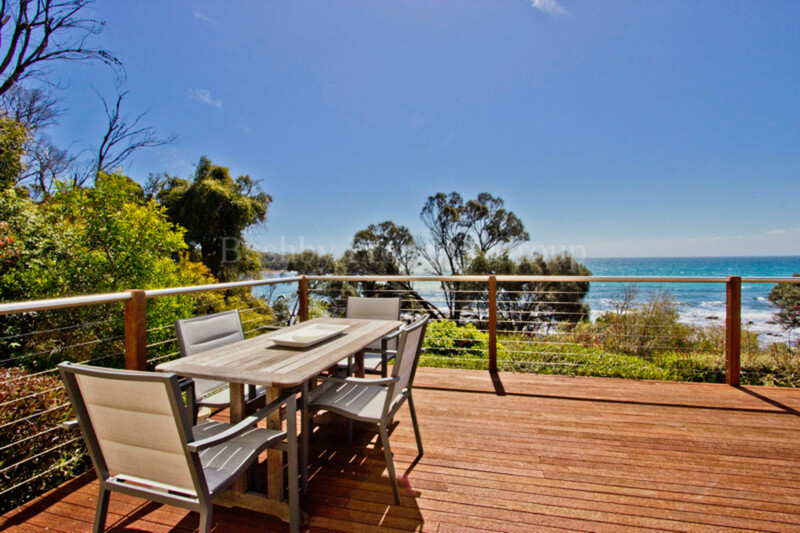 Two great bedrooms plus a delightful second living area that could convert to a third bedroom, fabulous decks offer perfect sea views, even an undercover outdoor entertaining area as well. 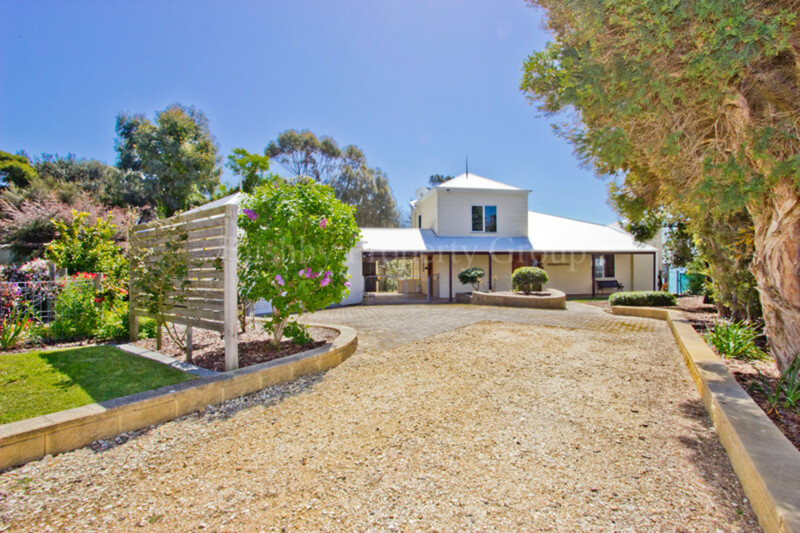 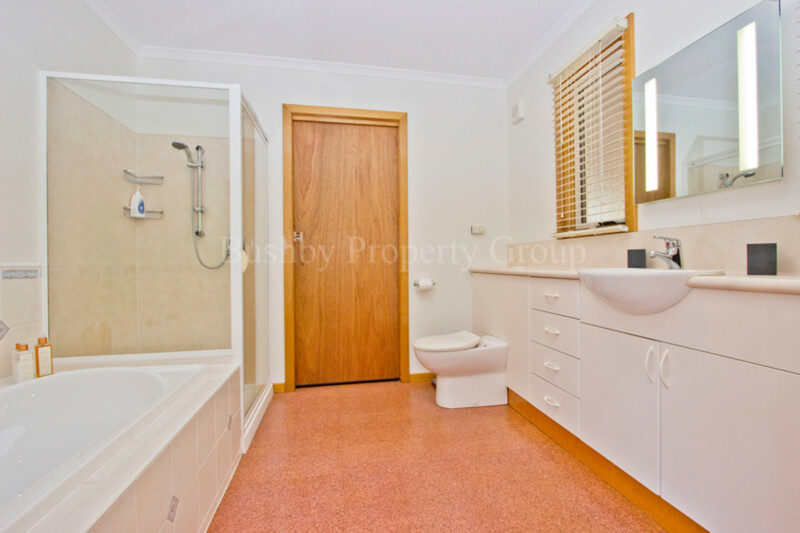 Double garage, storage shed, watering systems and the peace and quiet are all assured to win you over.